Now more than ever, businesses cannot stand to be complacent with their business practices. This is where business process management (BPM) software comes in. 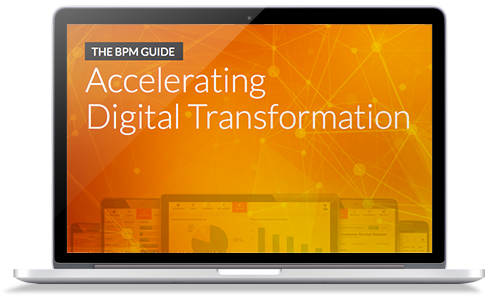 BPM Software holds the key to streamlining, automating and optimizing operations in practically any industry. General Motors (GM) was the global leader in sales for 77 consecutive calendar years from 1931 to 2007. Yet, the following year, due to record oil prices, steep health care and retirement expenses as well as the infamous global recession, the automotive goliath was forced to receive loans from the governments of both the US and Canada, before filing for bankruptcy in the second quarter of 2009. In recent times, the Eddie Bauer outdoor apparel shop, the Six Flags chain of amusement parks, American International Group, Inc. (AIG) and many others once thought of as mainstay businesses, have also declared bankruptcy. For many companies whose financial situation has not yet reached such dire levels, it’s still possible to streamline operations through business process management systems. A process modeler tool allows business users to have a bird’s eye view of business processes. Organizations can then monitor the processes, address inefficiencies, make necessary changes and watch for positive or negative results in real-time, through detailed reports and dashboards. Business process management software can also be used to automate various important business processes such as human resource training, information dissemination, facility or equipment scheduling, and more. This reduces the human resources required to perform tasks that employees would usually be assigned to do by hand, leaving less potential for error and saving time and resources in the process.